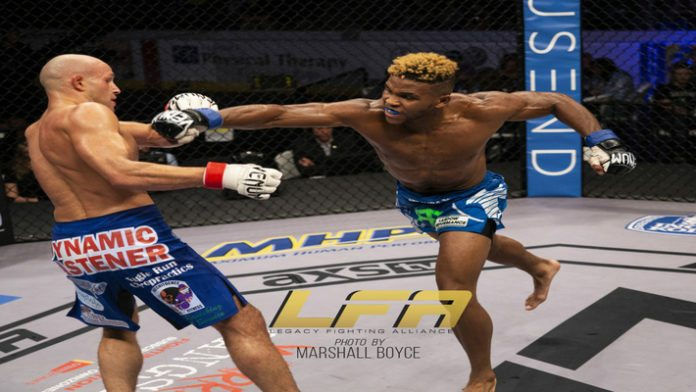 After a shaky start to his career, Austin Jones looks to put himself on the UFC’s radar with a victory over Calen Born at LFA 57 on Friday Night. In January of 2017 Austin Jones had a 3-4 record after losing a split decision to Liam O’Neill at Feirce FC 4. Realizing that stress was prohibiting success, Jones needed to find a way to enjoy fighting again and push through the mental block. Check out the complete interview below and hear Jones talk more about is career turnaround, training at Factory X, and his official prediction for his LFA 57 fight against Calen Born. Stick with MMANews.com for the latest on Austin Jones, LFA 57, and all of the fighters over at Factory X.